Good news, y’all! NBSP is back on GoodStuff.fm and recording live using Google Hangouts Air with Youtube. This past Friday, Chris and I went live with Micah Godbolt. 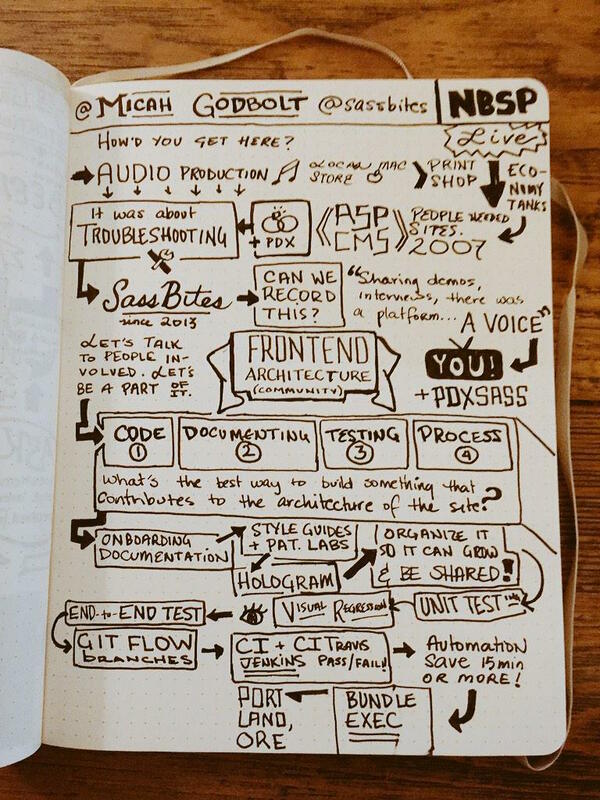 We spoke about Sass and Front End Architecture, and it a lot of what FE Architect is about blew my mind. Check out the audio and subscribe to our feed, or for those more visually-inclined, check out my sketchnotes or watch the live broadcast unedited below.